Voting hashtags are: #VoteBaconPoutine, #VoteCinnamonBun, #VoteJalapenoMacNCheese and #VoteTzatziki. 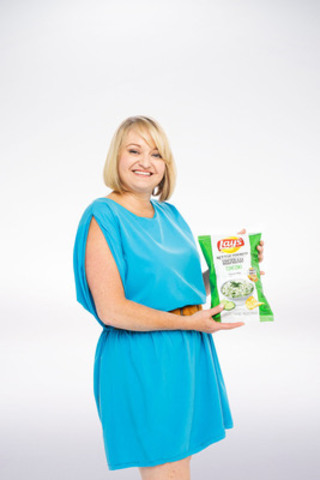 In February, the Lay's Do Us a Flavour contest challenged Canadians to submit their ideas for the next great potato chip flavour for a chance to win $50,000 plus one per cent of their flavour's future sales once the voting period ends. In less than two months, the contest received an overwhelming response almost doubling the number of submissions received in 2013, its inaugural year. 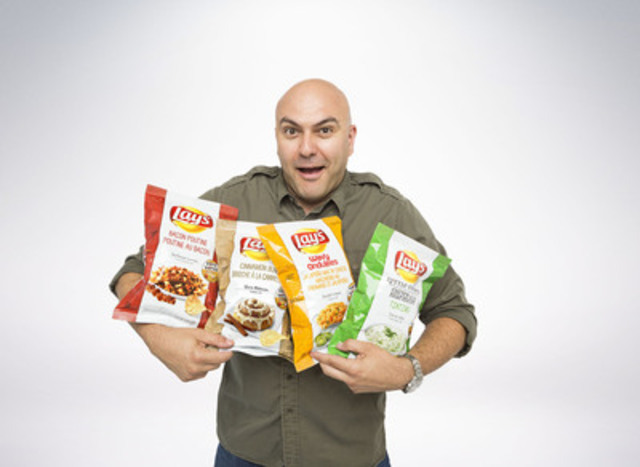 The volume of Do Us a Flavour ideas reflects Canadians' passion for Lay's, the country's favourite potato chip brand. "We were blown away by the tremendous creativity and passion that Canadians brought to this year's contest. There were over a million amazing ideas submitted, so selecting our four Do Us a Flavour finalists was not an easy task!" says Susan Irving, Director of Marketing, PepsiCo Food Canada. "The challenge ahead for these flavours is to win the votes of chip aficionados across the country and become the next addition to our flavour lineup. We can't wait to see what Canadians decide." All four finalist flavours will be available in stores across the country at the beginning of August for a limited time. 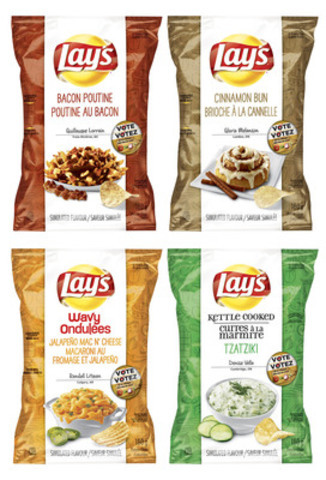 After October 15, votes will be tallied and the next great Lay's potato chip flavour will be announced and launched into market in late November. 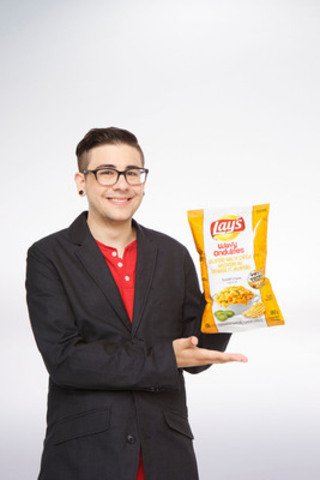 As part of this year's contest, television personality James Cunningham teams up with the Lay's Do Us a Flavour contest to inspire Canadians to vote for the yummiest flavour. A food explorer, James is passionate about discovering great flavours through his intrepid culinary adventures and food truck finds. "The creative mix of finalist flavours is a great reflection of this country's passion for culinary creativity," says James Cunningham, host of Eat St. "As the voting period kicks off, I encourage all Canadians to celebrate this creativity by trying all four and voting for the yummiest flavour." 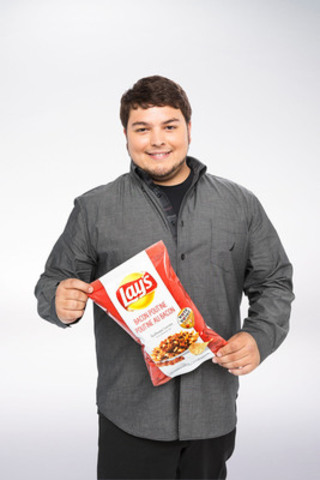 Bacon Poutine on Lay's Original: Guillaume Lorrain from Trois-Rivières, Quebec created this Lay's flavour as an ode to his youth. When he was young, every once in awhile when his mom wasn't home to cook dinner, as a treat, his dad would take him out for a Bacon Poutine dinner. Cinnamon Bun on Lay's Original: Remember when you went to Grandma's house and it smelled so good? Straight from Grammas' kitchen, London, Ontario's Gloria Melanson's flavour inspiration is the waft of warm gooey cinnamon buns made with cinnamon and brown sugar baking away in the oven. Jalapeño Mac N' Cheese on Lay's Wavy: At summer barbeques, everything ends up on one plate and this is what inspired Calgary, Alberta's Randall Litman to create Jalapeño Mac N' Cheese. His favourite combination is when Lay's Potato Chips end up next to macaroni salad - adding some jalapeño gives it a nice kick! Tzatziki on Lay's Kettle Cooked: Denise Vella from Cambridge, Ontario fell in love with Greek food twice, which inspired her Tzatziki flavour. The first time was while backpacking through Europe after University and she fell for Greek food again when she lived on the Danforth in Toronto. The flavours in Tzatziki take her back 20 years... Yummy! 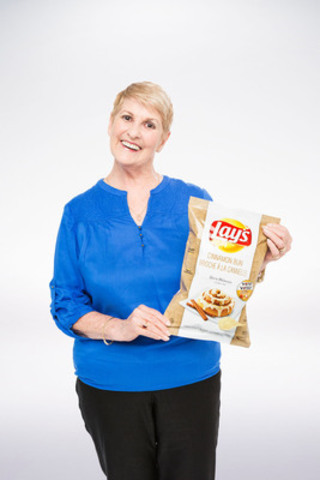 The Lay's Do Us a Flavour contest has been held in numerous countries around the world and has generated an incredible response with millions of flavour submissions. Last year, the Canadian contest received more than 600,000 flavour ideas from fans across the country. From the UK to India, Australia to South Africa and most recently the US, the Do Us a Flavour campaign has resulted in a wide spectrum of chip flavour ideas created by consumers including Caesar Salad (Australia), Chili & Chocolate (UK), Mastana Mango (India), Walkie Talkie Chicken (South Africa) and Cheesy Garlic Bread (US). More details and official contest rules are available at Lays.ca/Flavour. At the heart of PepsiCo is Performance with Purpose - our goal to deliver top-tier financial performance while creating sustainable growth in shareholder value. In practice, Performance with Purpose means providing a wide range of foods and beverages from treats to healthy eats; finding innovative ways to minimize our impact on the environment and reduce our operating costs; providing a safe and inclusive workplace for our employees globally; and respecting, supporting and investing in the local communities where we operate. For more information, visit Pepsico.com.